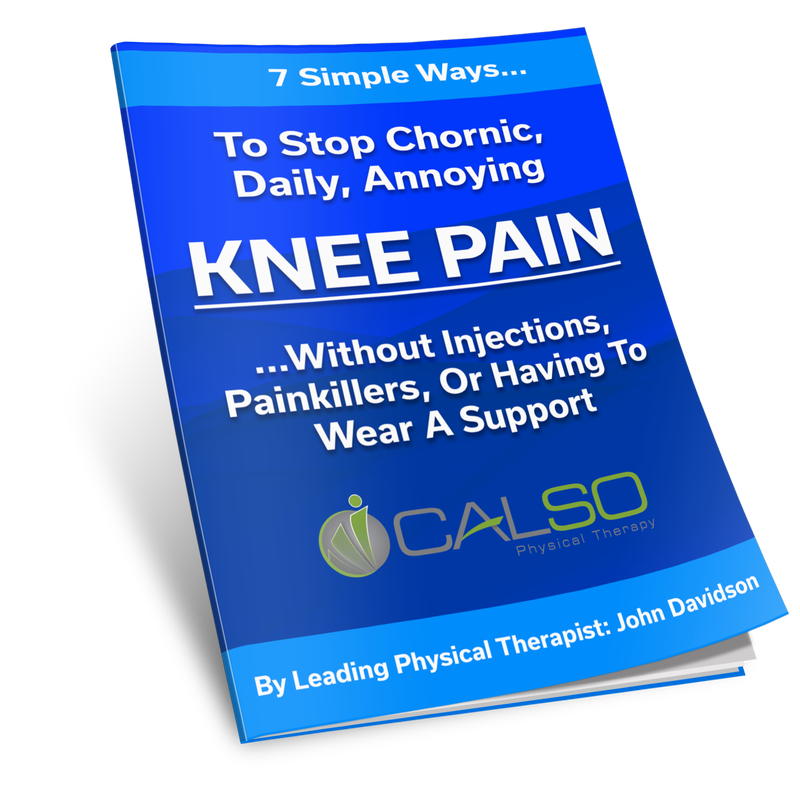 Just a few pages reveal 7 simple ways to stop chronic, daily, annoying knee pain...without injections, painkillers, or having to wear a support. 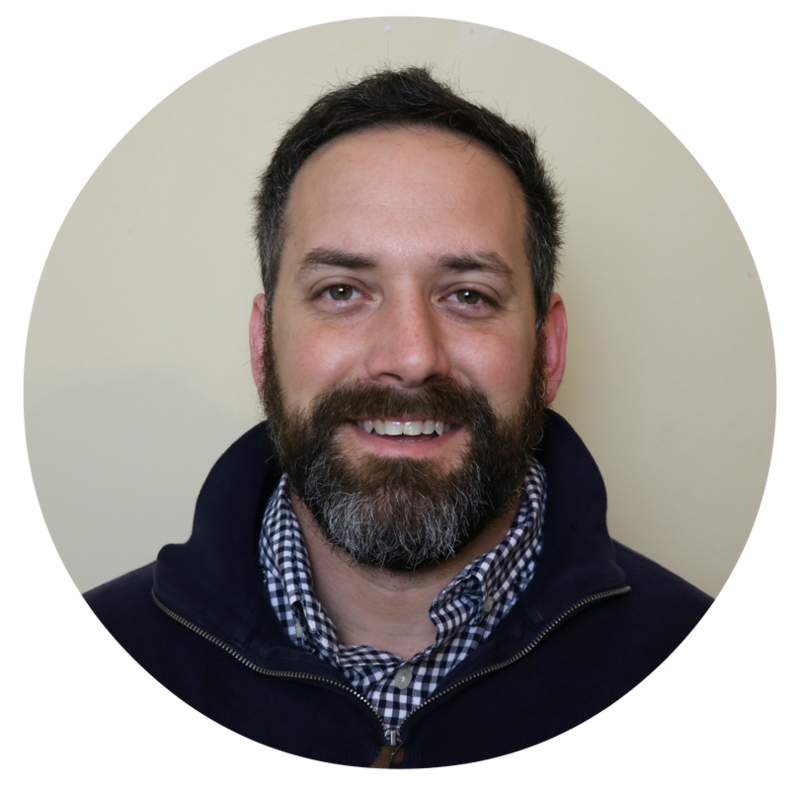 Hi, my name is Dr. John Davidson, DPT, OTR and welcome to Calso Physical Therapy. We've put together a Free Knee Report showing you 7 tips to help ease your knee pain TODAY. Just enter your first name, your email address and click the “Yes! I Want The Free Knee Guide button above and you'll instantly receive the Free Knee Guide by email. You'll receive all the information that shows you why you really can ease knee pain without having to miss out time with family. I work with people ages 50+ just like you to find relief from sudden and chronic knee pain. What I can tell you is that heating pads, injections, and medicine are not likely to help. Why? Because I have had 100’s of people come to me AFTER trying all those things and still struggling with knee pain. I know so many people who have just accepted that knee pain is now a normal part of their lives. This does NOT have to be you! My free knee pain report will explain why you should have hope that you can live free from knee pain). Inside you’ll find 7 ways (plus bonus tips) to help you on the road to recovery today. If this is keeping you from any of the things you love to do, then you need to take a few minutes to read this knee pain report. This guide is NOT for you if you're content to live with taking painkillers, don't care about fixing the MAIN problem, or…. So go ahead... enter your first name, your email address and click “Yes! I Want My Free 9 tips to ease knee pain” button to instantly receive the Free Report by email. There’s not catch…I’m doing this because I was tired of seeing my mother and grandmother miss out on being able to play with my kids because of their knee pain. All you have to do is enter your information and I’ll send it to you immediately. "It’s an amazing experience to find, after years of living with everyday pain and accepting it would never change, that I can be mobile and active again. Thank John at Calso PT for restoring the mobility in my knee. I can’t wait to get back on the tennis court." "Before I started with John at Calso PT, I had been to several doctors, specialists, and had stopped running completely. I had spent countless dollars on imaging, injections, and orthotics. It was John who was able to get me relief from the agonizing pain of plantar fasciitis. I was back to running on the Greenway after only 5 sessions. I was so thankful that Calso PT helped me get my active life back." ​We realize some people may be unsure if physical therapy is right for them. Do you wonder whether it'll work, whether we can help with your problem, or maybe you've had a bad experience somewhere in the past? If that sounds like you, and you'd like to come see for yourself how Calso PT can help you, just fill out the simple form above so we can answer your questions. If you're not quite ready to book an appointment yet, you might have some questions that you would like answered first. John would be happy to chat with you so he can be 100% sure that he can help you... just click the button above to request to speak with John on the phone!